Annual Classic Car Festival - Coming June 16! Grab Dad and spend Father's Day at the Annual Classic Car Festival. The Classic Car Festival on Town Hill starting at 10 a.m. and lasting until 2:30 p.m., for cars, light trucks and rat rods. This is a rain or shine event. No admission charge for general public. $15 early registration for vehicles, $20 day of show. 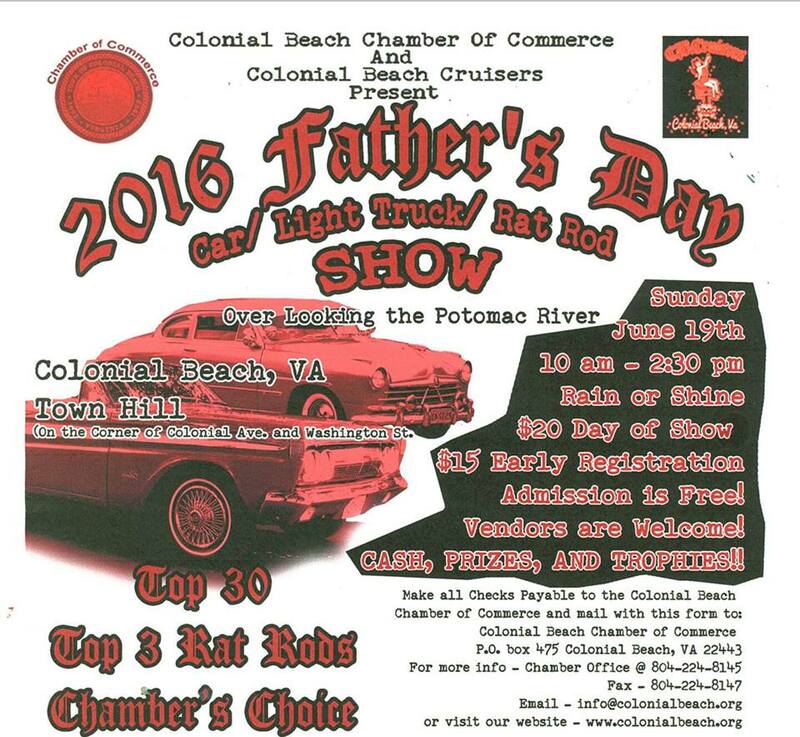 Sponsored by the Chamber of Commerce and the Colonial Beach Cruisers car club. If you've never been, this is a must-see event in Colonial Beach. Not to mention it's a great way to spend Father's Day with your pop and see some sharp-looking vehicles. There will be classic cars all over Town Hill beginning at 10 a.m. Don't get there late, as I did one year. I missed all the fun. It ends at 2:30 p.m.
Food vendors and a DJ on hand for tunes and there are lots of goodies for Dads as well as drivers. Folks who would like to set up an arts and crafts/vendor booth at the event, or sell food should fill out this form and send it in. Top 40 Classics (40 trophies!) 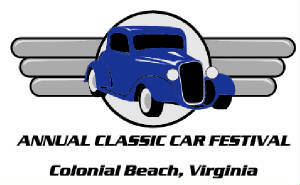 The Colonial Beach Cruisers cars will be exempt from the judging. This event has been going on for a number of years! 2009's event raised money for the local varsity and junior varsity cheerleaders. 3:30pm - 4:00pm Parade from Town Hill to around The Point. Visit our YouTube channel and our Facebook page for video clips of past events.